Summary: Light rain tomorrow and next Monday, with high temperatures rising to 79° on Sunday. A major remodel at Walmart, 1155 South Camino del Rio, is the reason behind all the new shipping containers on the south side of the store, near the auto department. Walmart is not creating a new building using shipping containers on the south side of its property. However, if you visit Ska Brewing Co., 225 Girard St., you’ll see the clever folks there have transformed two shipping containers into a cool restaurant called The Container. It’s a two-stories with a smaller ground-floor container as the kitchen, which dishes pizza, salads and sandwiches, and above is a dining-area. Mrs. Action Line also wondered about all those shipping containers during a recent perfunctory foray into maw of mass consumerism. How is it that every time you go to Walmart, you can’t leave without dropping 50 bucks? You head in for paper towels, laundry detergent and a couple packages of the good herbal tea that’s always sold out at City Market. Half an hour and 50 bucks later, you exit with a couple blue plastic bags of stuff. Make that “chromatic gray” plastic bags. When it comes to color, there are no gray areas for Mrs. Action Line. Anyway, let’s get back to the container issue. Walmart always has some containers around, usually on the south side of the store adjacent to the auto department, presumably to hold excess inventory. Then several weeks ago, a boatload of shipping containers showed up east of the garden center. It caused some confusion, particularly for the dubious transients who were forced to find a different place to park their cars prior to their lucrative stints holding cardboard signs. Mrs. Action Line wondered aloud if the containers held all the Christmas goods that Walmart needs to sell. “Looks like we won’t run out of inflatable Santas this year,” she observed. However, the containers held a different cargo, according to a helpful store associate who didn’t want to be named. The containers stored the new stuff prior to installation and the old stuff after it was taken out. So the Dominquez Drive Shipping Container ADU Eco-Village & Retreat will not be happening any time soon. But that doesn’t mean Durango lags in the upcycled container department. 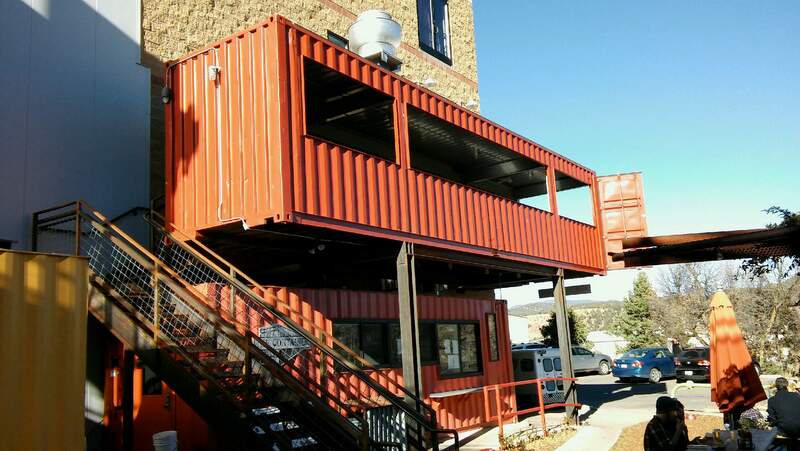 The cleaver and awesome folks at Ska Brewing transformed two shipping containers into a cool restaurant aptly called The Container. If you’ve never been to The Container, you owe yourself a trip. It’s a two-story affair, with a smaller ground-floor container as the kitchen, which dishes delish pizza, salads and sandwiches. Above is a dining-area container, with spacious windows offering commanding views of the Bodo Industrial Park metroplex. 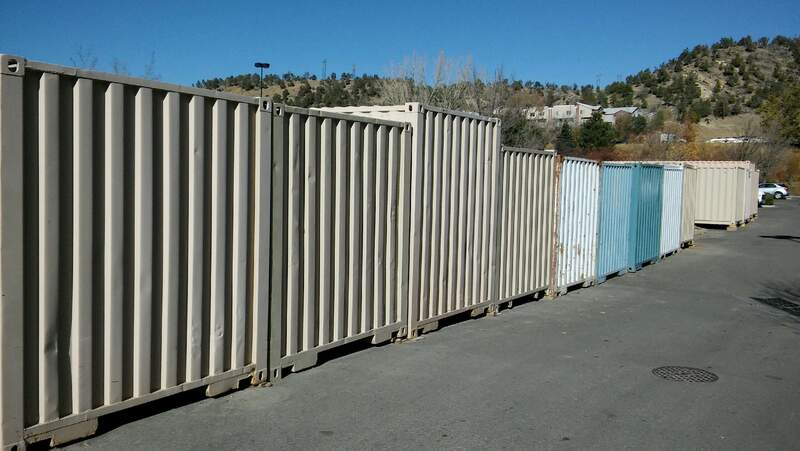 Also remember that there’s a leading shipping container company right here in La Plata County. We’re talking the nice people at Zircon, a family-owned local business established in 1995. Zircon specializes in premium, quality portable on-site storage and shipping containers that you can rent, buy or have customized into a moveable conference room, office or anything else. You could even have Zircon transform a unit into your very own steel-clad, stand-alone lockable man cave. Now, that’s what we call inside-the-box thinking. Guys, contain yourselves! Email questions to actionline@durangoherald.com or mail them to Action Line, The Durango Herald, 1275 Main Ave., Durango, CO 81301. You can ask for anonymity if you really do need a Zircon because there’s too much stuff in your garage. How do you know it wasn’t polar bears?